Welcome to the online version of our magical homestead! Who are we? 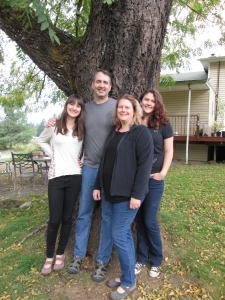 We are the Hanlins, (Reenie, Paul , Eve & Ann). We are makers and do-ers and we love to share our obsessions and inspire others. We invite you to come and play with us. Follow our blog to see what we are up to or come and LIKE us on our Facebook page. Keep an eye on the Shop, at first we will have a LOT of yarn fibery things, since that is Reenie’s favorite thing (and she used to own an online yarny shop called Material Whirled (see below), so remaining stock from Material Whirled will be popping up here). Items in the future will follow our whims and interests, from ceramics and art to beekeeping, gardening and homesteading. 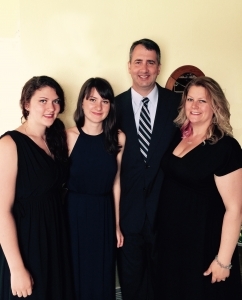 We, as a family, each have our own peculiar ambitions, as do almost everyone we meet. We feel that in living out and by pursuing our ambitions we become more content, more emotionally connected, and deeper thinkers. We have the ability to share our peculiar ambitions with those around us, encouraging others to share and pursue their ambitions with us and with the rest of the world. This combination of peculiar ambitions in our family has evoked the “tag line”, our motto… To explore a more mindful and creative life. A more mindful and creative life…. What does this mean and what do we consider more mindful? We all need to slow down and savor what is really important to us, to spend time with those we love and take time to just BE. Although cliche, there is still truth in the idea that we each need to create the life we feel we are meant to live. Pay attention to what tugs at your heart, to what brings you peace. Do you indulge this part of you? It’s not easy to do in our culture that encourages busyness, competition and the idea that if it is not making a monetary profit it is not worth doing. What is your peculiar ambition? It does not need to be a big, profound thing. It can be as simple as cooking a meal for your family and friends or taking the time to learn to knit, make wine, paint a picture, write a poem or do whatever peculiar ambition you have always wanted to learn to do. For us that peace comes from a quiet place to live. Creating manifests itself in many different ways for us, from raising as much of our own food as possible to making pottery and art. It’s simply about taking the time to be thankful, to be aware of each other and our neighbors and to pay attention to each precious moment. We have made an effort to encourage our girls to follow their passions and talents. Our goal by sharing our peculiar ambitions is to encourage you to seek yours, and likewise, you can encourage others to do the same. 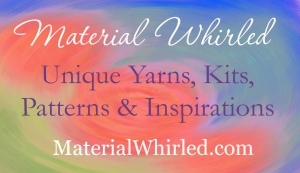 Once upon a time (from 2005-2011) we owned an online handspun yarn shop called Material Whirled. 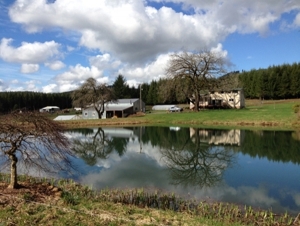 In 2010, we (the Hanlins) bought our dream farm in SW WA. Material Whirled closed in 2011 so we could focus our time on building our nest and working on future plans….. those plans led us to Peculiar Ambitions.